Dracophyllum minimum is an native cushion plant that is common in alpine areas of the south, centre and west of Tasmania. The flowers are solitary, and the leaves have reddish tips. It can be confused with Abrotanella forsterioides, which has a single hair at the tip of each leaf and Donatia novae-zelandieae which has densely hairy leaf axils. 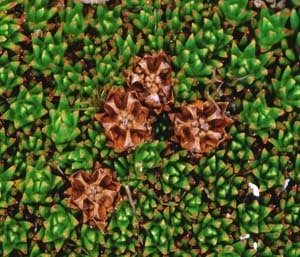 Other superficially similar cushion species (Phyllachne colensoi, Scleranthus and Colobanthus species) have distinctly yellowish green foliage. 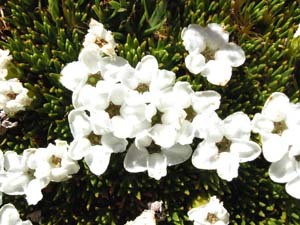 Chionohebe ciliolata is only known from a single ridge on Ben Lomond.